Nearly all of the ANALYSES on this site utilize raw data from one or more sources. Most of these data sources were totally non-partisan government institutions. 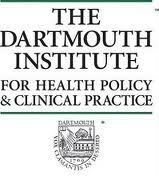 There are also several private institutions that have a long history of providing non-partisan data regarding health care issues that are listed below. Finally, there are a number of private companies who have a history of generating data. A number of COMMENTARIES on this site utilize raw data from private sources. 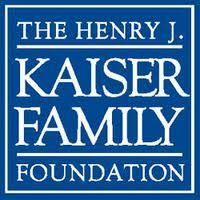 “A leader in health policy and communications, the Kaiser Family Foundation is a non-profit, private operating foundation focusing on the major health care issues facing the U.S., as well as the U.S. role in global health policy. Unlike grant-making foundations, Kaiser develops and runs its own research and communications programs, sometimes in partnership with other non-profit research organizations or major media companies. Robert Wood Johnson Foundation RWJF focuses its attention and resources on health and health care challenges both broad and specific in order to make a difference on the widest scale. RWJF began as a small community foundation, and evolved—through the generosity of its founder, Robert Wood Johnson—into the nation’s largest philanthropy devoted solely to the public’s health. Robert Wood Johnson devoted his life to public service and to building the small, but innovative, family firm of Johnson & Johnson into the world’s finest health and medical care products company. Association of American Medical Colleges (AAMC) serves and leads the academic medicine community to improve the health of all. The AAMC represents all 133 accredited U.S. and 17 accredited Canadian medical schools; approximately 400 major teaching hospitals and health systems, including 62 Department of Veterans Affairs medical centers; and nearly 90 academic and scientific societies. Through these institutions and organizations, the AAMC represents 125,000 faculty members, 75,000 medical students, and 106,000 resident physicians. An annual book published by Commerce Clearing House. This comprehensive resource puts 50 comparative performance indicators at the practitioner’s command and covers all of North America using NAICS data to determine a company’s true measure of performance and value.